Conventions that celebrate pop culture can be a bit more difficult to come by on the East Coast of the United States. Depending on where you live, certain conventions can either be too expensive or too far away. Leaving opportunities to reach out and connect with fellow fans face to face a lot more challenging. Though it began in Ohio, Colossal Con East (Located in the Poconos Mountains in Pennsylvania, at the Kalahari Resort) has been gaining traction as an engaging but also a relaxing venue for anime fans to meet and share their fondness for the animated medium. Primarily through the creation of detailed and creatively crafted cosplay. 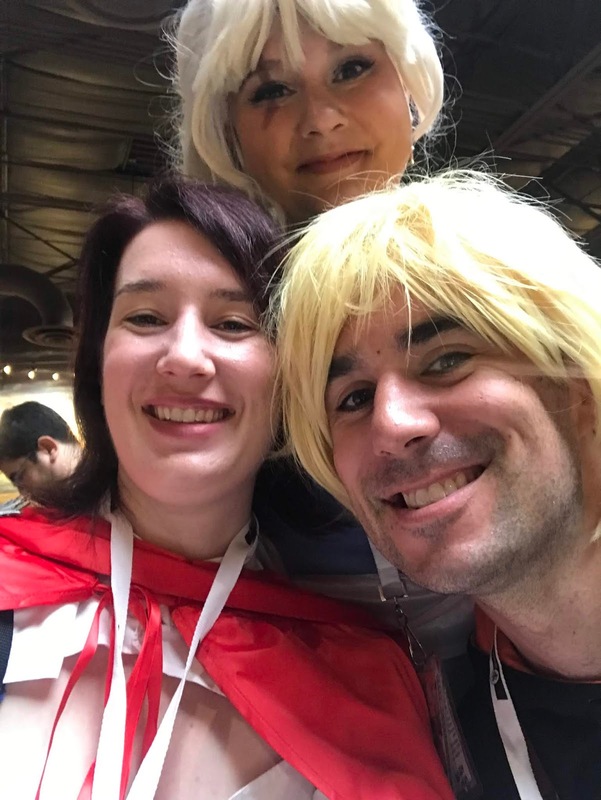 Though I have only been to a few conventions like this in my lifetime, Colossal Con East stood out as a more friendly experience than previous excursions. This could be contributed to the smaller size of the con, meaning shorter lines and less hassle finding panels but all in all the atmosphere was very welcoming. Cosplay compliments were given readily even if they were not for shows a lot of people recognized. With panels offering a variety of fun activities: improvisation, character Q&A, and recommendations of shows with odd titles, there were plenty of opportunities to have a good time without having to spend a great deal of money. That said, screenings of anime or animated films that I have come to expect from conventions like this were noticeably absent, leaving this much more of a fan/cosplay focused experience. 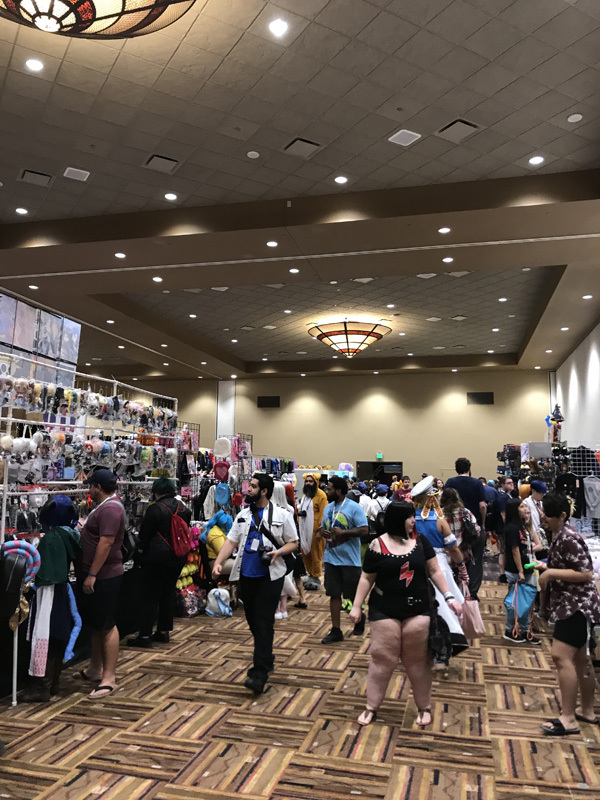 With plenty of activities that were only for those who were over the age of eighteen, Colossal Con is an event that is mostly for adults of the culture. And while there were several distinguished guests attending and hosting their own panels, Todd Haberkorn (English Dub voice of Natsu from Fairy Tail), Morgan Berry (Dub Actress of Yoshiko Tsushima from Love Live! Sunshine!! ), and James Carter Cathcart (The current actor for James of Pokemon's Team Rocket) just to name a few: Colossal Con's main focus was to provide a safe, but fun experience for fans of the anime culture to express themselves in different ways. the My Hero Academia Character Q&A. As with most conventions of this type, the types of series being represented was varied between the anime and video game mediums. 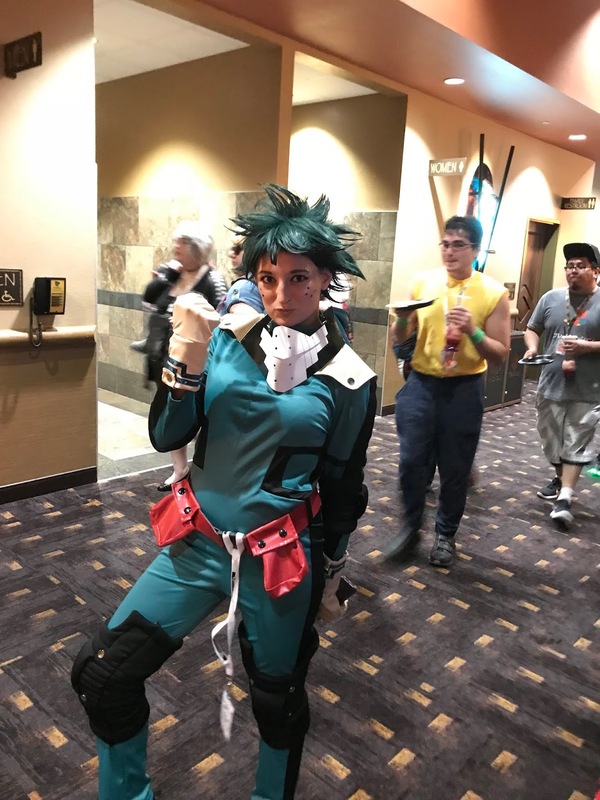 Remarkably, a vast majority of the cosplay on display this year centered around the cast of My Hero Academia, which is still wrapping up its third successful season. Several of the event panels were explicitly focused on this series, from photo shoots to fan theories. Even with such a small convention, the reverberations of My Hero Academia's expanding popularity was on full display. If I had to name a major drawback to this experience it would be related to the handling of parking at the venue, at the Kalahari resort hotel. It was evident that the staff at the hotel had not expected such a large turnout and had difficulty separating regular hotel guests and convention attendees. Hopefully, this will improve over time. take a RWBY cosplay selfie to commemorate the day. All in all, if you're on the East Coast and are looking for a smaller con to meet up with friends and share your love of anime culture, Colossal Con is an event that is well worth the visit.